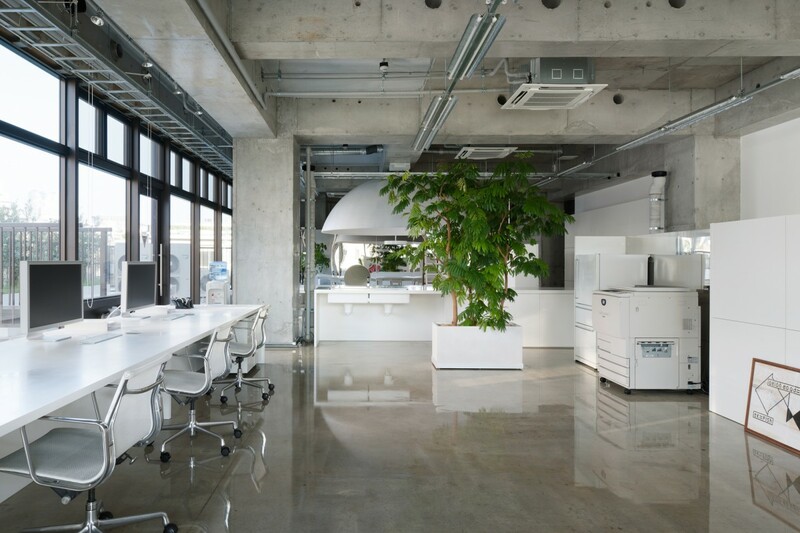 We were commissioned to design an office for a graphic designer. 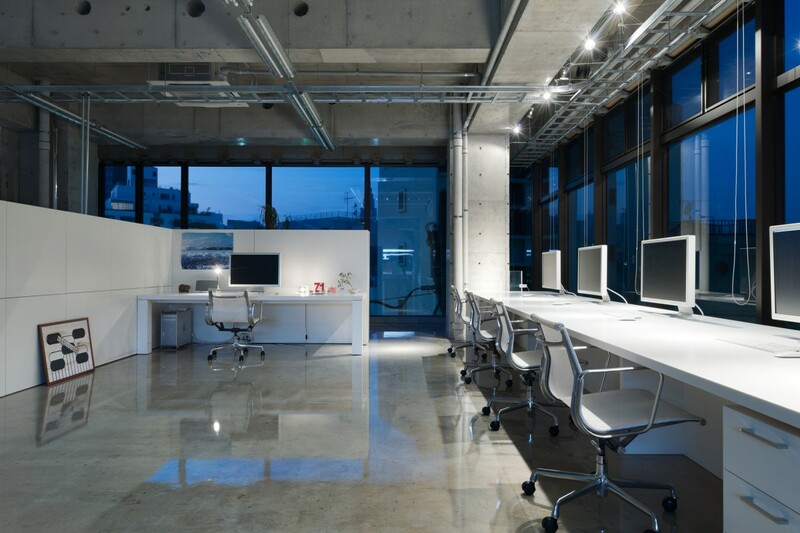 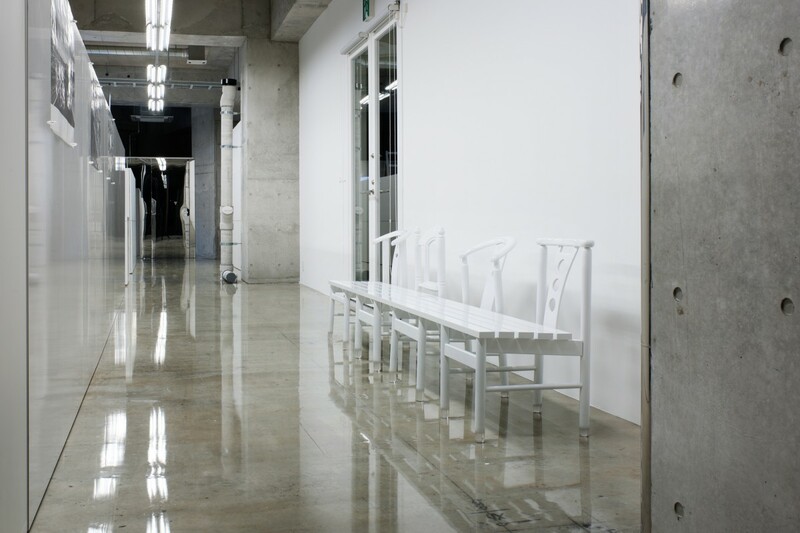 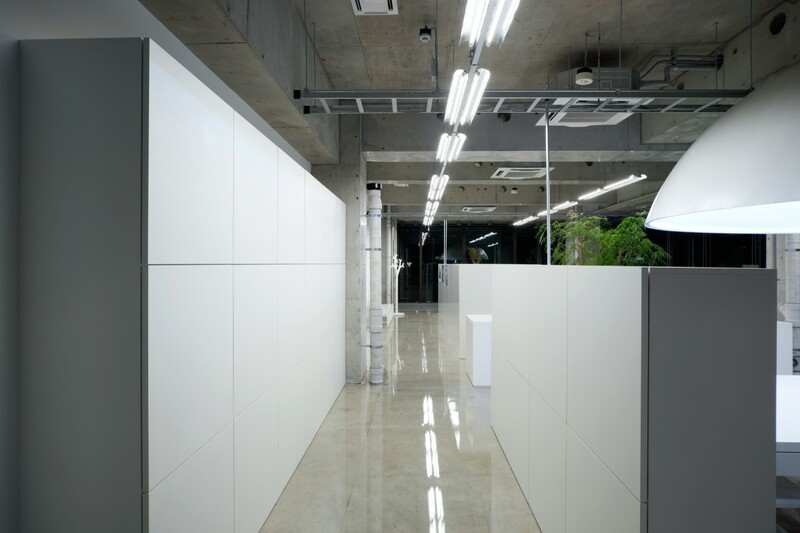 Instead of installing partitions, spatial zoning of the interior space is defined by the carefully decided layout of furniture paying attention to distance between and location of each of the pieces, in order to enhance the maximum impact of the ample space. 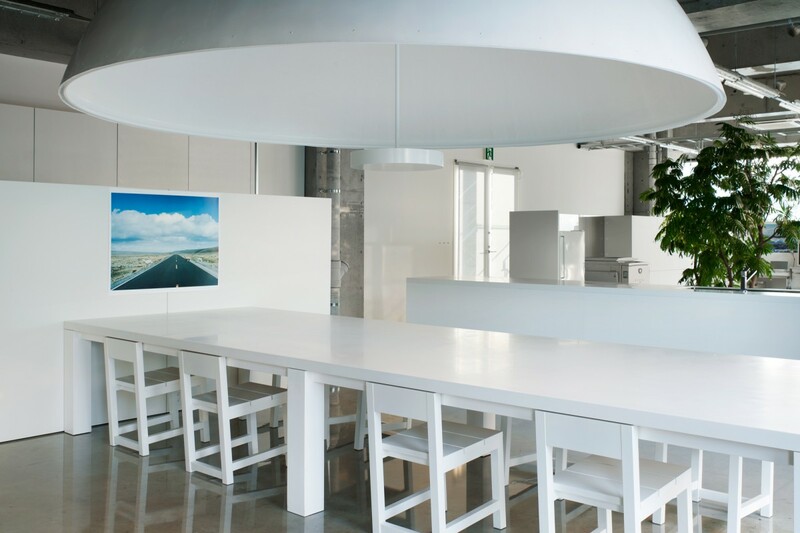 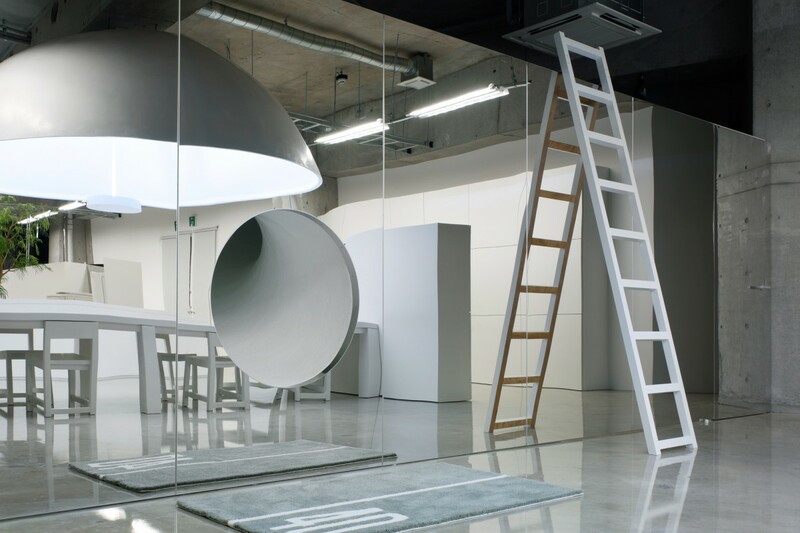 The meeting space is not enclosed within partitions but defined by an extra-large parabolic lamp shade where people can gather underneath to have private conversations without being heard from the rest of the office. 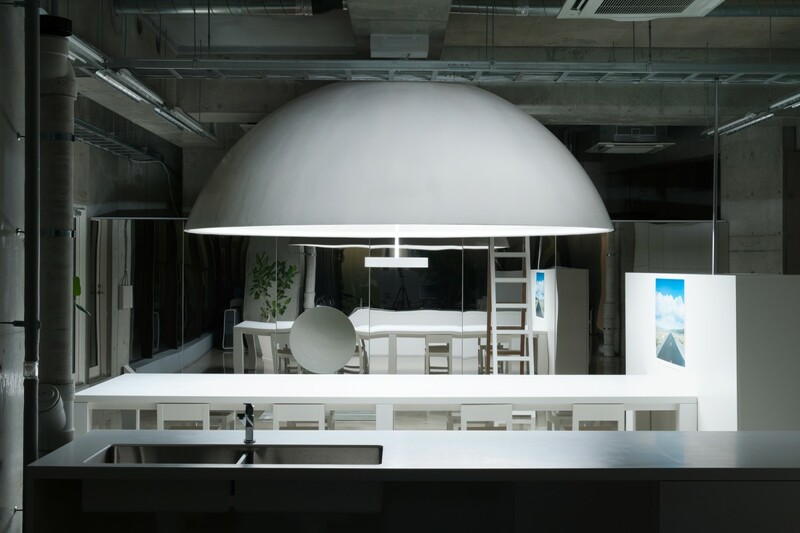 This lighting system was designed for professional graphic editing, complete with highly precise color reproducibility and light-diffusion effect preventing shadows being cast onto the top of the table. 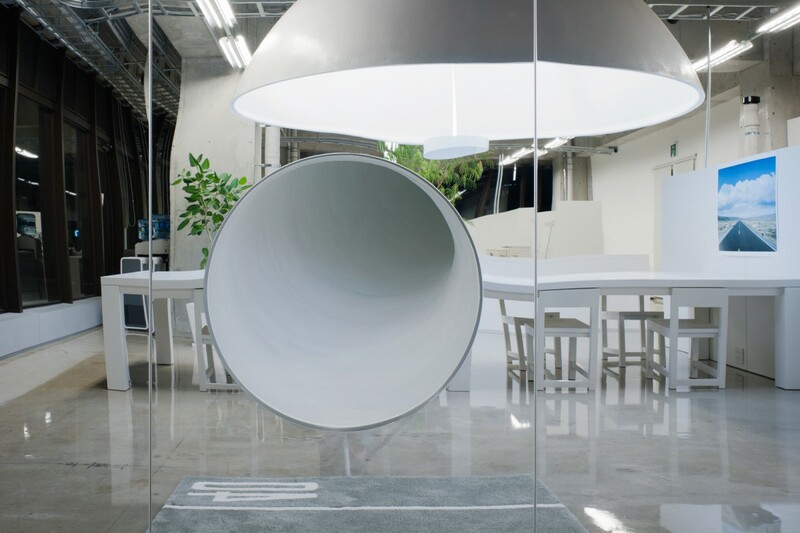 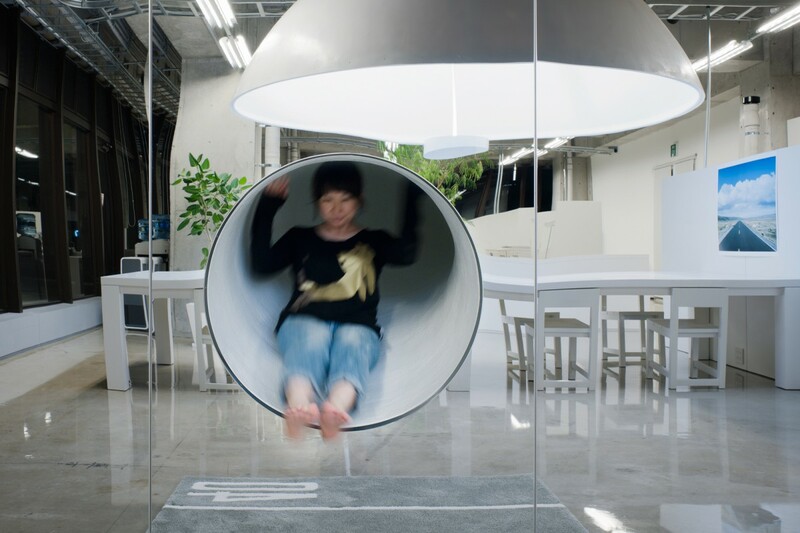 A unique slide system connecting two spaces are provided as an iconic feature of the office.